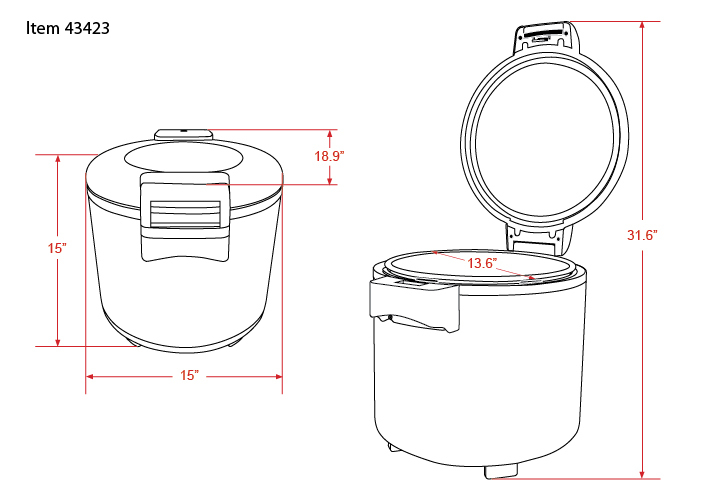 Omcanﾐs commercial rice warmer holds 20L or approximately 96 cups of cooked rice at a warming temperature of 71 – 75C / 159.8 – 167F for up to 48 hours. Its attractive stainless steel finish complements your kitchen. Non-stick inner cooking pot is easy to remove for quick cleaning. Comes with a spoon ladle.